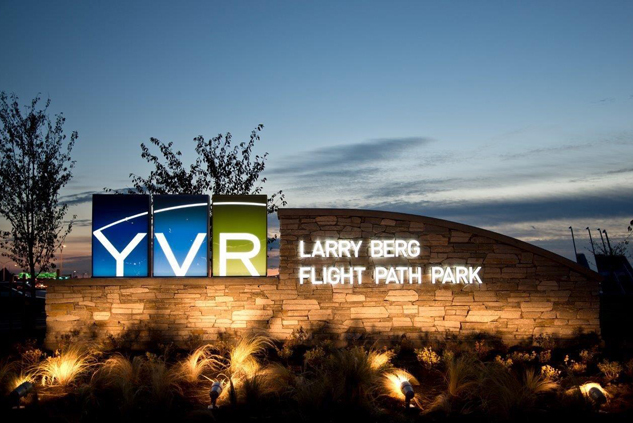 Located at the Vancouver Airport, the Larry Berg – Flight Path Park was renamed to honour the retiring CEO of the Vancouver Airport Authority’s role in creating community-oriented amenities within YVR. 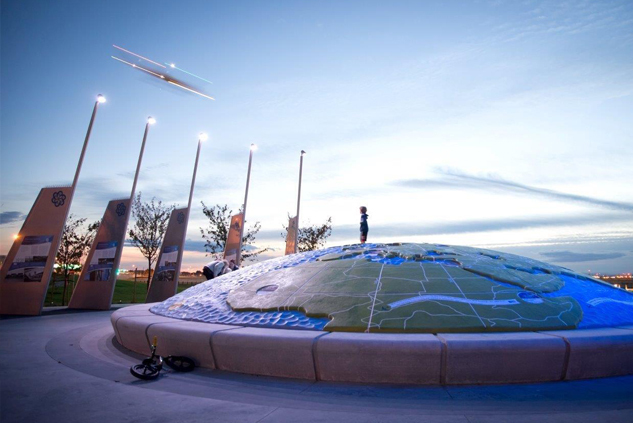 Flight Path Park, provides an opportunity for viewing planes and creates a community gathering place for residents and visitors. 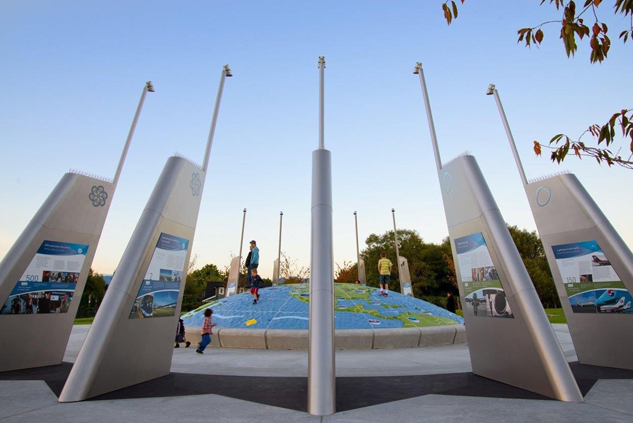 The central feature of the park, the globe, allows visitors to interact with the structure while learning about YVR’s role in connecting people from around the world. 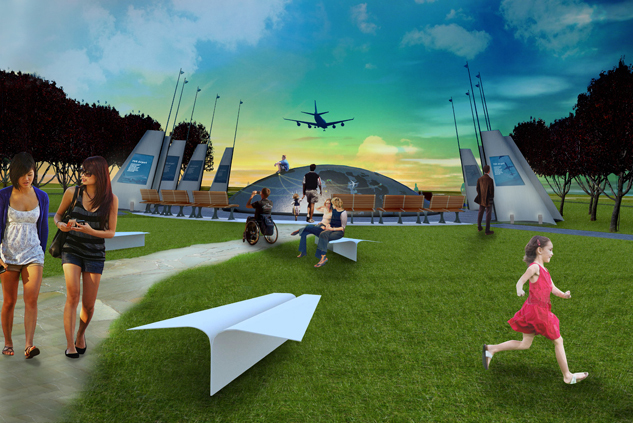 Benches shaped as paper airplanes also provide a whimsical element to the space. 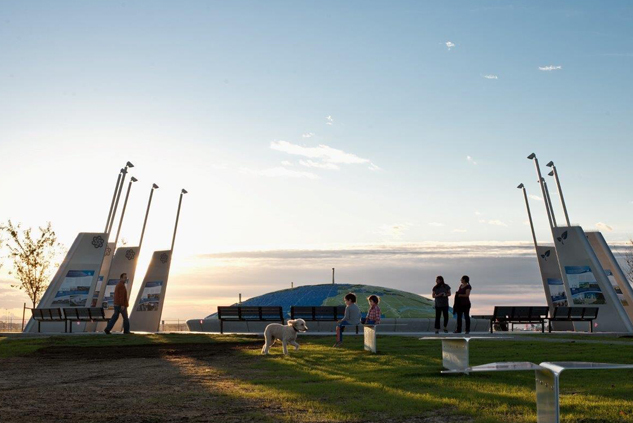 TH= SUM worked with Ken Heit Creative and Kei Space to assist in conceptualizing the central feature of the park and detailing renderings for this project.